After 3 and a half hours of standing around, freezing cold and getting various trains we arrived at Birmingham Clothes Show Live 2012. 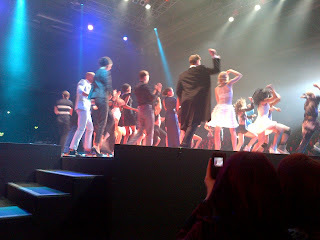 We quickly got to our seats just in time as the catwalk began. The main show was presented by Henry Holland and Grace Woodland who started by welcoming the band Times Red, who were an act on the x factor and sung their new single. 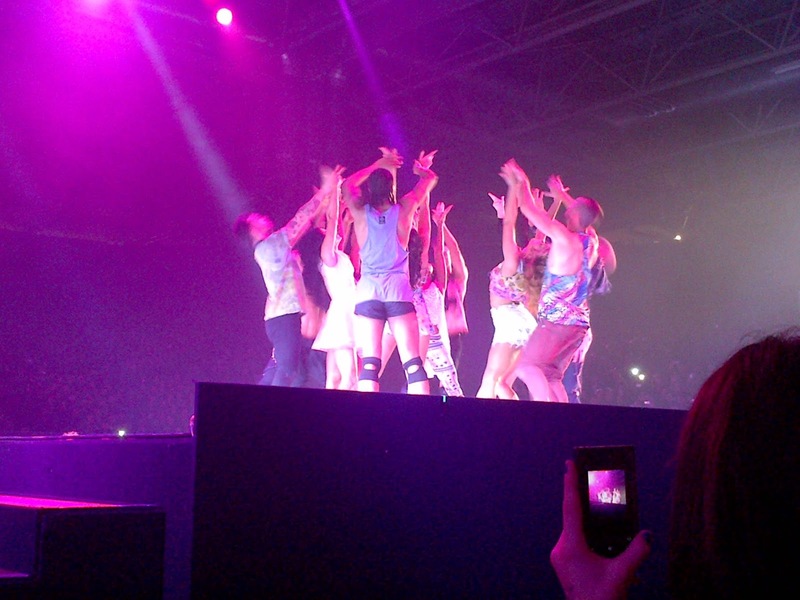 When they had finished the catwalk began. The theme of the show was based on a fashion designers busy schedule and what she has to do on a daily basis. My favourite outfit during the catwalk was a peplum top and pencil skirt covered with purple, gold and orange sequins and diamonds as it was wearable and very in with the resent trends. 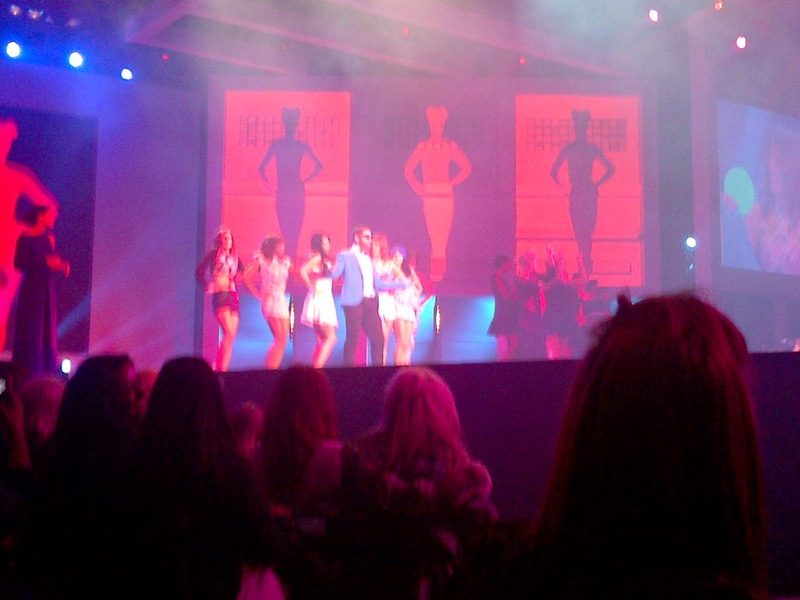 A theme which i also thought stood out was the Rio Summer collection as they were bright, bold and colourful. My favourite piece from this collection was a short sleeveless dress with a bold, bright flamingo down the side of it. At the end of the catwalk the models and dancers performed gingham style - which everyone loved! When we left the catwalk we headed straight to the shops! There was so many stalls that we didn't manage to get around most of them. There were lots of our favourite brands like Barry M and Rimmel London selling their most popular items at discount prices! Barry M were selling 4 nail varnishes for just £10! Around the stalls there were smaller catwalks were Britain and Ireland's next top model contestants where modelling, which is the first year that they have been involved with the clothes show! 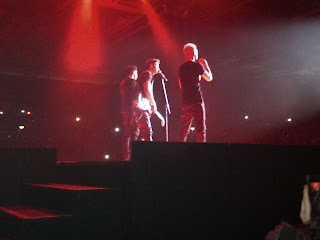 Many well known TOWIE celebs were at the clothes show throughout the week and the day before we were there JLS preformed! To finish a tiring, action packed day we received a free goody bag filled with samples of perfumes, face masks, creams, moisturisers and false nails! 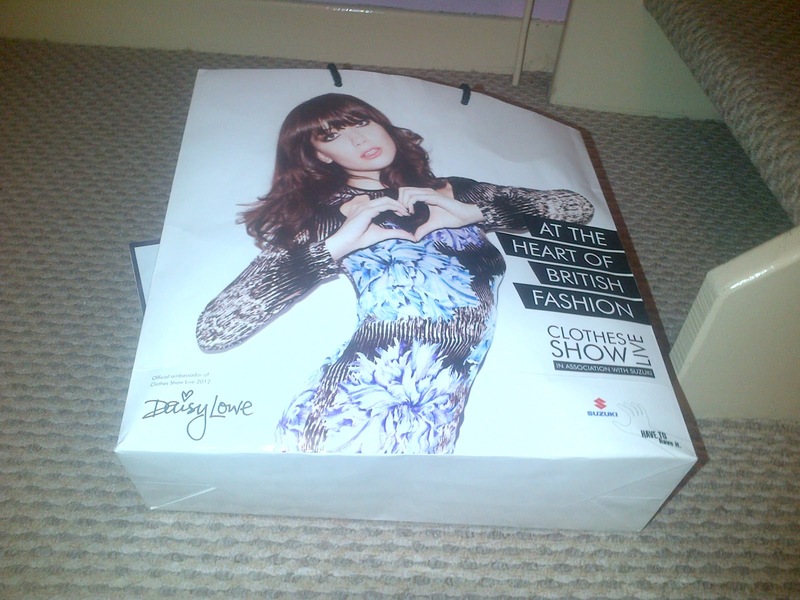 I had a really good day at the clothes show and will hopefully go back next year!